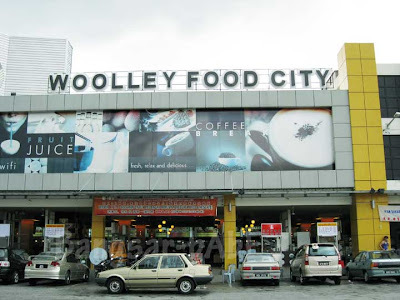 Our earlier gluttony at Nam Heong left us longing for more, so we went to Woolley Food City for some Ais Kacang. The shaved ice came drizzled with thick brown syrup, evaporated milk and topped with creamed corn and peanuts. rif liked the toasted peanuts, I didn’t care much for them. Beneath the finely shaved ice was a generous amount of red jellies, cincau, cendol and red beans. Every spoonful of this creamy, sweet concoction melts in your mouth. 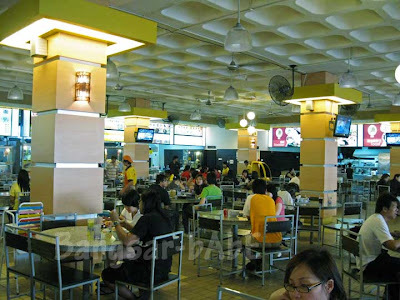 Jeen’s mum said the Hakka Mee here was quite good, so we ordered a bowl and some fried yong tau foo to share. 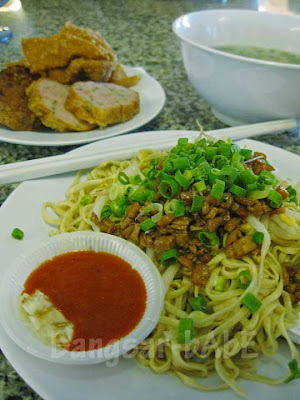 The noodles came topped with beansprouts, savoury minced pork and chopped scallions. I liked the texture of the noodles – very springy with no alkaline taste. The minced pork was quite good with a subtle nuance of garlic oil. The chili sauce and chopped garlic was an addictive accompaniment to the noodles. 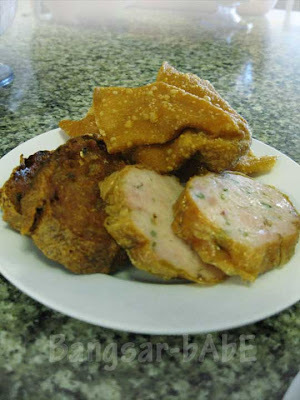 The deep fried items were alright. It would have tasted better had we eaten there earlier. I reckon they were leftovers from lunch time since it was already 5pm. 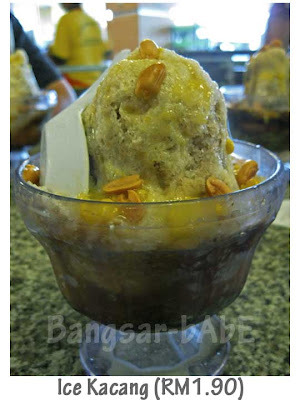 Ice Kacang is in its gula melaka creamy best! 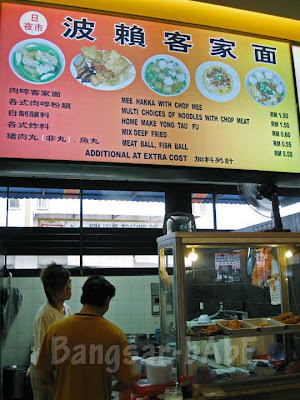 A must stop whenever I’m visiting Ipoh :o). The food there is nice. Always there whenever I’m in Ipoh. I just discovered a pretty good BKT stall there too. They served superb BLT noodle there.